Judicial involvement in education finance reform in New Jersey began over three decades ago and deepened more recently because the state was slow to implement reforms. In 1973, the New Jersey Supreme Court declared, in Robinson v. Cahill, 303 A.2d 273, that New Jersey’s school funding statute was unconstitutional because it violated the “thorough and efficient education” requirement of the state constitution. Since that decision, the supreme court has issued over a dozen school finance opinions, the latest in February, 2008. The Education Law Center (ELC)  serves as counsel for plaintiff students, who comprise over 20 percent of the state’s students and attend school in 30 low-wealth school districts (now known as the “Abbott districts”). In its 1994 and 1997 Abbott v. Burke decisions, the New Jersey Supreme Court ordered “parity” funding, that is, state aid to bring per-pupil revenues in the Abbott districts up to the per-pupil expenditures in the state’s 110 successful, suburban districts. The court allowed the state a phase-in period, reaching parity for the first time in the 1997-1998 school year. The court, in its 1998 decision,710 A.2d 450, ordered an unprecedented series of entitlements for disadvantaged children, including full-day kindergarten, high quality preschool for 3- and 4-year-olds, a comprehensive facilities effort, after-school programs, and summer school. After the State failed to comply with its own 1998 representations to the court regarding preschool, plaintiffs challenged the remedy. In Abbott v. Burke, 748 A.2d 82 (2000) (Abbott VI), the court spelled out the preschool requirements in more detail, including substantive educational standards, certified staff, and a maximum student/teacher ratio of 15:1. In 2002, New Jersey announced a $10 – $12 billion school construction program, of which $6 billion was designated to build and renovate school buildings in the Abbott districts. While the School Construction Corporation provided financing for projects in suburban districts in a timely manner, it failed to finance most of the projects in the Abbott districts and was shut down when corruption came to light. Overcrowded classrooms and dilapidated facilities continue to hamper progress in the school districts educating most of the state’s most disadvantaged schoolchildren. A new school funding plan was approved by the legislature on January 7, 2008. Under the new formula, the state allocated approximately $7.8 billion to K-12 education for fiscal year 2009, a 7% increase from 2008. All districts saw a boost in school funding ranging from 2 to 20% during the first two years of its implementation. The Abbott plaintiffs challenged the new formula, claiming that under the base funding proposed in the new formula Abbott districts would get funding amounts closer to the state average and not to the levels of the wealthiest districts, as mandated by the Supreme Court. Though Abbott districts would still receive more than half of all state aid under the new plan, 22 out of these 32 districts will receive only the minimum 2% increase. The state countered that the new formula would better address the needs of the 49 percent of low-income students who live outside the Abbott districts, and have not been covered by the Abbott litigation. It claimed that the new formula addresses the constitutional deficiencies previously identified by the Court and asked the Court to terminate the case and eliminate the parity funding system it had ordered in the Abbott decisions. On May 28, 2009, in its 20th decision in the two-decade old Abbott v. Burke litigation, the New Jersey Supreme Court ruled unanimously that the state’s new education funding system meets the constitutional requirement to provide all students a “thorough and efficient education.” The court’s order permits the funding system to go into effect statewide, including in the 31 poor urban school districts previously covered by the Abbott orders. Repeating its prior finding, the court held that the Abbott case has led to “measurable educational improvement” for students in the Abbott districts. The court’s ruling ended the special remedies the court had ordered for the Abbott districts, including parity funding and funding for supplemental programs. Under “hold harmless” provisions in the new funding system, however, no district received less aid in the 2008-2009 school year than it received the previous year plus a 2% increase, and, absent a significant decrease in enrollment, no district will receive less than this amount in the future. For the Abbott districts, this means that their past levels of extra funding will form a guaranteed minimum base level for the future. However, as the plaintiffs argued, since districts face unavoidable cost increases, the flat funding provided under the new formula will force some districts to scale back their current programs. The court’s finding of constitutionality for the new state funding system was explicitly premised on two major conditions. First, the state must continue to provide school funding aid during 2009-10 and the next two years at the levels required under the new formula. Second, the court’s holding further requires the state to conduct a review of the formula weights and other operative parts of the cost analysis upon which the new system is based after three years of implementation. The court accepted the factual findings and most of the recommendations of the special master it had appointed to hear evidence about the new formula and the cost studies upon which it was based. However, the court rejected the special master’s additional recommendation that the Abbott districts be permitted to continue to apply for extra funding for important supplemental programs during a three-year transitional period. In the Spring of 2010, newly elected governor Chris Christie and the state legislature adopted an austerity budget that cut education funding $1.08 billion, or 13.6%. 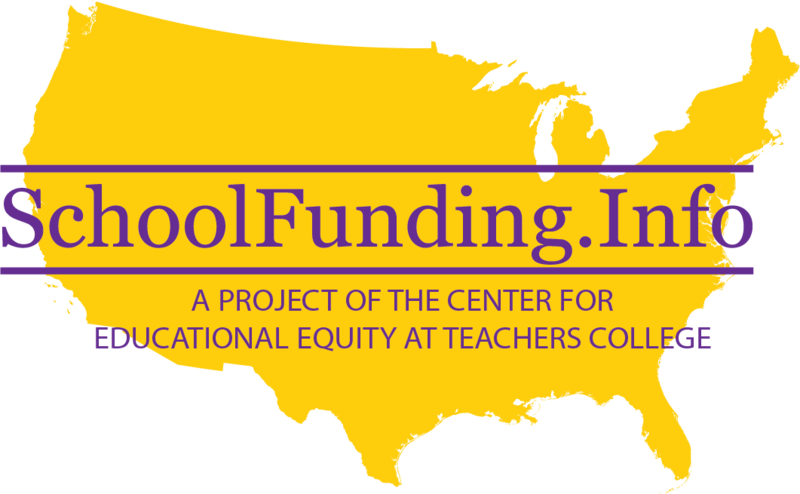 In June 2010, the Education Law Center (ELC), on behalf of the Abbott v. Burke litigants, filed a motion requesting the state’s high court to block implementation of the 2010-2011 budget, because it failed to fund schools at the levels required by the 2008 School Funding Reform Act (SFRA). Oral arguments were held before the New Jersey Supreme Court on January 5, 2011 on plaintiffs’ motion. Plaintiffs’ main claim was State had violated the condition the court had laid down in its decision approving the new formula, i.e. that the new formula be fully funded. On January 13, 2011, the New Jersey Supreme Court appointed Hon. Peter E. Doyne, a Bergen County Court judge, a special master to determine whether the current levels of funding are sufficient to provide New Jersey school children a thorough and efficient education. The report will be issued to the Supreme Court by March 31, 2011, and the parties are required to file their briefs by April 21, 2011. On February 1, 2011, the Court issued a further order denying the state’s request for clarification of the remand order to include consideration of the state’s fiscal condition. The Court also denied the state’s motion for an extension of time. One of the members of the majority would have required the State to fully fund the formula for all districts in the state, based on the special master’s express finding that children throughout the state, and not just in the Abbott districts, were being denied a thorough and efficient education. The other two members of the majority held, however, that the Court’s jurisdiction was limited to the 31 Abbott districts and that its order, therefore, would extend only to them. The Education Law Center, attorneys for the plaintiffs, had requested state-wide relief and indicated that they would continue to press the legislature to fully fund the SFRA for all districts and not just the Abbott districts. Although the Abbott plaintiffs sought to reinstate full SFRA funding for all school districts in the state, the court, in an order issued in May, 2011, limited its order for funding reinstatement to the original Abbott plaintiffs ( i.e. the 31 urban Abbott districts). See Abbott-XXI. New Jersey Governor Chris Christie’s motion to have the state supreme court freeze state aid at current levels while the state considers a new approach to state aid and to grant the Commissioner of Education unlimited authority to over-ride terms of teacher collective bargaining agreements and teacher seniority layoff laws was denied in a unanimous ruling issued on January 30, 2017. The state’s motion had been cast as seeking “relief and modification” in the Abbott v. Burke litigation, even though challenges to collective bargaining and seniority in layoffs had not, as the Court noted, “ been subject to prior litigation in the Abbott line of cases.” The Abbott case had finally been closed last year, although the Court’s major orders concerning adequate funding for the state’s 32 poor urban districts and its rulings on the validity of the state funding formula that had been drafted in response to the Court’s constitutional requirements, remain in effect. In a letter sent to New Jersey’s Attorney General in November 2018, the Education Law Center, counsel to the plaintiffs in the 31 poor urban districts covered by the orders of the State Supreme Court in Abbott v. Burke claimed that the State Development Authority (SDA) lacks sufficient funding to complete 200 major school facilities projects and to build 102 new schools approved in long-range facilities plans approved by the State Department of Education. The SDA has spent or committed all of the $2.9 billion in financing authorized by the Legislature in 2008. Plaintiffs are also asking the state to update its statewide strategic plan and the Department of Education’s needs assessment of critical educational space deficiencies. as required by state statutes and applicable court orders. In 2006, a class action complaint was filed against state officials and local boards of education, asking the court to order vouchers for students attending schools with low pass rates on state standardized tests. The suit was dismissed by the lower courts. Several rural school districts tried to qualify for additional state funding as Abbott districts, in Keaveney v. New Jersey Department of Education, 2000 N.J. AGEN LEXIS 814 (Dec. 26, 2000). One was approved. Also, the Superior Court, Appellate Division, in Stabaus v. Whitman, 770 A.2d 1222 (2001), dismissed a suit by taxpayers alleging unconstitutionally disparate tax burdens. 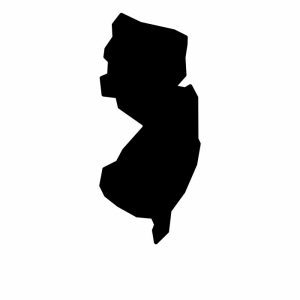 On December 11, a judge from the Superior Court of New Jersey Law Division – Mercer County heard oral arguments in the long-pending challenge to New Jersey’s statewide school funding system by 16 poor, rural New Jersey school districts. The rural school districts and a coalition of parents had originally brought suit challenging New Jersey’s school funding formula as unconstitutional almost two decades ago. In a 2006 ruling, the NJ State Board of Education had found that the education and funding in these districts was so inadequate it violated the district students’ right to a “thorough and efficient” education under the New Jersey Constitution. In a 2008 ruling, an appeals court upheld the State Board’s ruling and remanded to the State Education Commissioner to determine whether the newly enacted weighted student funding formula – the School Funding Reform Act (SFRA) – provided the resources necessary to remedy the constitutional violation. In 2009, the State Education Commissioner ruled that the newly-enacted School Reform Act of 2008 (“SFRA”) would address the districts’ needs and enable the districts to improve educational opportunities for all students. In 2010-11, however, Governor Christie cut over $1 billion in state funding from the SFRA formula, effectively wiping out the increases received by the districts. Since 2012, the Christie Administration has not restored the cut, nor provided any of the increases in K-12 and preschool funding required by the formula. A summary action brought by the plaintiffs in 2014 sought an order from the state Superior Court to enforce needs assessments for these districts that had been undertaken by the state education department. The trial judge ruled that the district-specific needs assessments which they sought to enforce did not require the Department to fully fund the districts under the SFRA or otherwise provide for specific relief. That decision was affirmed by the Appellate Division of the Superior Court in November 2015. Ten New Jersey School Districts filed an administrative petition with the State Commissioner of Education in January 2018, claiming that, on average, their districts in recent years have received less than half of the state aid to which they are entitled under the State’s School Funding Reform Act (SFRA) that was enacted in 2008, as a result of a court order in the long-pending Abbott v. Burke litigation. For the past eight years–during Chris Christie’s entire tenure as governor–the state has failed to fully fund SFRA. As discussed above, when this first happened, the Abbott plaintiffs returned to the state Supreme Court and obtained an order that required the state to continue to pay the increases due to the 32 Abbott districts, but that order did not cover the hundreds of other districts in the state. Kingsway, one of the current petitioning districts, filed a motion with the state Supreme Court last year asking to allow them to join in the Abbott litigation, but the Supreme Court denied the motion and indicated that they should file a new claim in the trial court or through an administrative action. The freeze on increases in state aid due under SFRA has particularly hurt fast-growing districts like Kingsway. Kingsway’s population growth has increased by more than 1,405 students over the last fifteen years, and the freeze on state aid has meant that state support for the district, which amounted to $5,280 per student, in 2001 was reduced to $3,770 in 2016-17, representing a 29% reduction in state aid per pupil over 15 years.